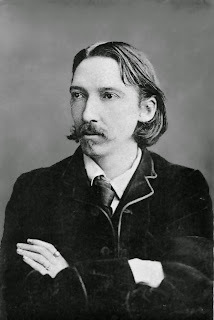 HONEY AND HEMLOCK: G.K. Chesterton on Robert Louis Stevenson's "Dr. Jekyll and Mr. Hyde"
"No man ever wrote as well as Stevenson who cared only about writing. Yet there is a sense, though a misleading one, in which his original inspirations were artistic rather than purely philosophical. To put the point in that curt covenanting way which he himself could sometimes command, he thought it immoral to neglect romance... It is also characteristic of him (and of the revolt from Victorian respectability in general) that his most blood-and-thunder sensational tale is also that which contains his most intimate and bitter truth. Dr. Jekyll and Mr. Hyde is a double triumph; it has the outside excitement that belongs to Conan Doyle with the inside excitement that belongs to Henry James. 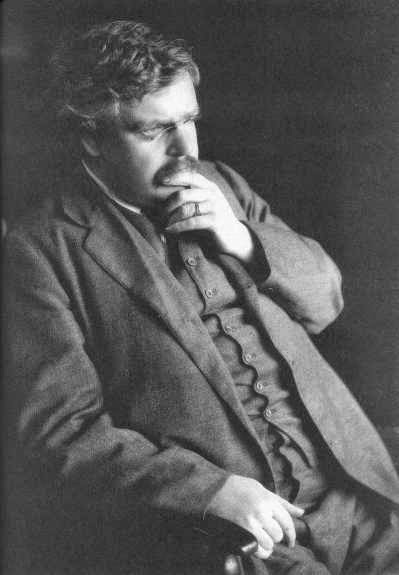 Alas, it is equally characteristic of the Victorian time that while nearly every Englishman has enjoyed the anecdote, hardly one Englishman has seen the joke — I mean the point. You will find twenty allusions to Jekyll and Hyde in a day's newspaper reading. You will also find that all such allusions suppose the two personalities to be equal, neither caring for the other. Or more roughly, they think the book means that man can be cloven into two creatures, good and evil. The whole stab of the story is that man can't: because while evil does not care for good, good must care for evil. Or, in other words, man cannot escape from God, because good is the God in man; and insists on omniscience. This point, which is good psychology and also good theology and also good art, has missed its main intention merely because it was also good story-telling." Source: Excerpt from the book The Victorian Age in Literature by G.K. Chesterton. The conception which unites the whole varied work of Stevenson was that romance, or the vision of the possibilities of things, was far more important than mere occurrences: that one was the soul of our life, the other the body, and that the soul was the precious thing. The germ of all his stories lies in the idea that every landscape or scrap of scenery has a soul: and that soul is a story." Source: Excerpt from the book Twelve Types by G.K. Chesterton.